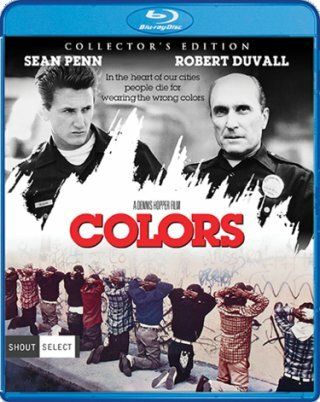 Dennis Hopper's Colors (1988) starring Sean Penn exists in two versions. Apart from the theatrical version there's also a longer cut that has 5 more minutes (see comparison). It was released on VHS in the UK. On March 7th, 2017, Shout!Factory will release a Blu-ray in the US and it is said to contain the "unrated version". Apparently, that means the longer cut that has the restored scenes on board.